I was excited to see “The Obligation” at Potrero Stage in San Francisco. Not because I had any idea about Roger Grunwald’s acting (it’s great), or about Nancy Carlin’s directing (it’s excellent). I was excited because I have an unhealthy obsession with the Holocaust since I grew up on a Kibbutz in Israel. Like most other kids, my parents and teachers dragged me to annual Holocaust memorials, and I watched endless war footage on TV. I spent hours in the library looking at books on World War II. “The Obligation” ticks all the boxes for a history buff. Dense with esoteric Third Reich facts, figures, and photos, Grunwald’s show can feel like a college history class—fine with me. What the play lacks in character interactions and nuance it makes up with ample historical context. 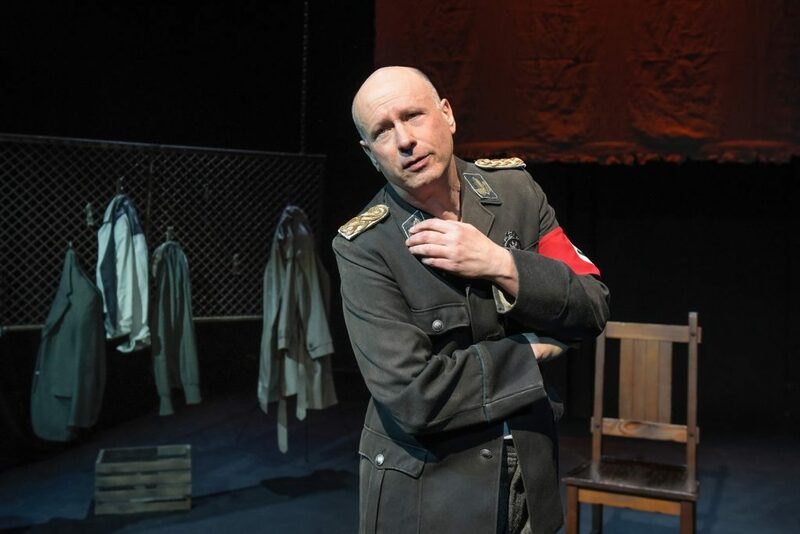 Grunwald’s one-man show is based on “The Mitzvah,” his earlier play, but “The Obligation” expands on memory and “memorialism.” He digs into the ‘meaning’ of the Holocaust as a personal event, as a shock to one person. 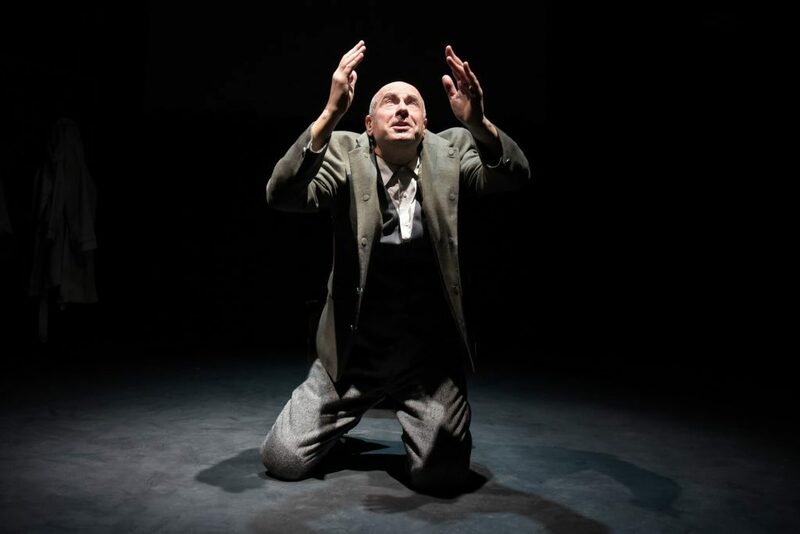 He also brings to light the gravity of the Holocaust as a global experience. Grunwald switches between characters, languages, and accents frequently, adding layers of complexity surprising in a solo performance. The story hinges on a particular single event that affects each character: the murder of a mother and child in the killing fields of Bialistok, Poland. The plot, full of flashbacks and non-linear shuffling, weaves together the lives of three main players. Schmuel Berkowicz, an Auschwitz survivor, tells us about his suffering and deliverance. Christoph Rosenberg, a half-Jewish First Lieutenant in the Wehrmacht, confesses his conflicts about service to Germany and Hitler. Odilo Globocnik, a historical figure, remains an unapologetic and accusing Nazi. 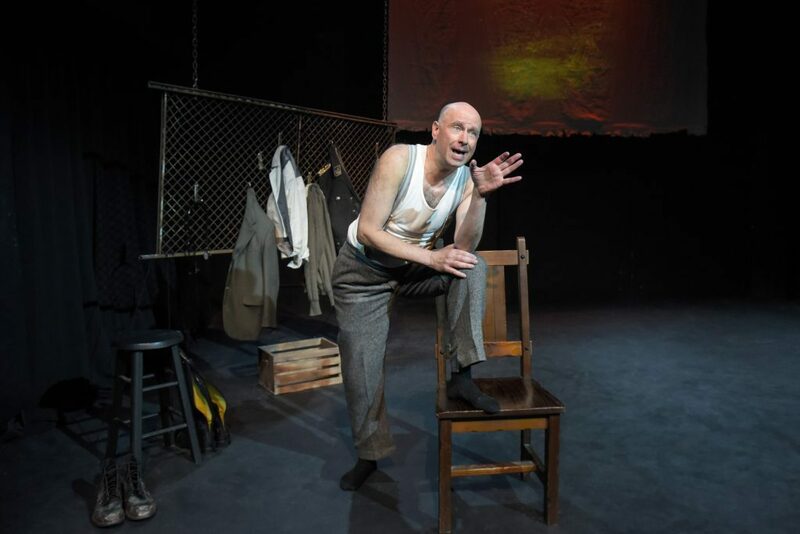 In addition, the One-Man Chorus, an amalgam of mid-century Jewish-American comedians, provides welcome comic relief. Grunwald, the veteran actor-turned-activist, keeps up a grueling pace, with identity changes marked by clever wardrobe and accent switches. 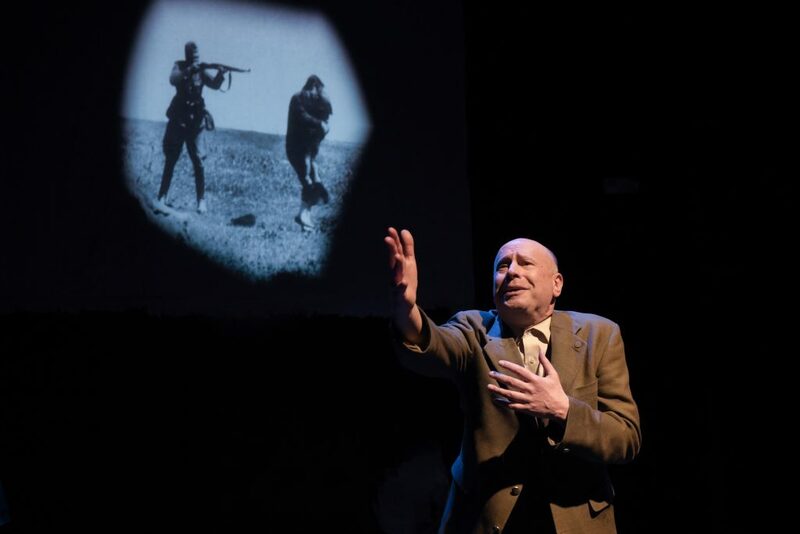 “The Obligation” offers up three distinct voices from the Holocaust and the War, helping us connect the tragedies of the past with the turmoil of the present. When we follow Schmuel into a New York hospital to get his blood drawn, we are catapulted back to Auschwitz to witness the tattooing of his arm. Then, when we listen to a confounded Christoph lament his destructive hands, we are thrown into Grunwald’s slapstick Chorus. Although the abrupt changes can feel cumbersome, they help to keep us engaged in the plot, as we solve a greater puzzle. 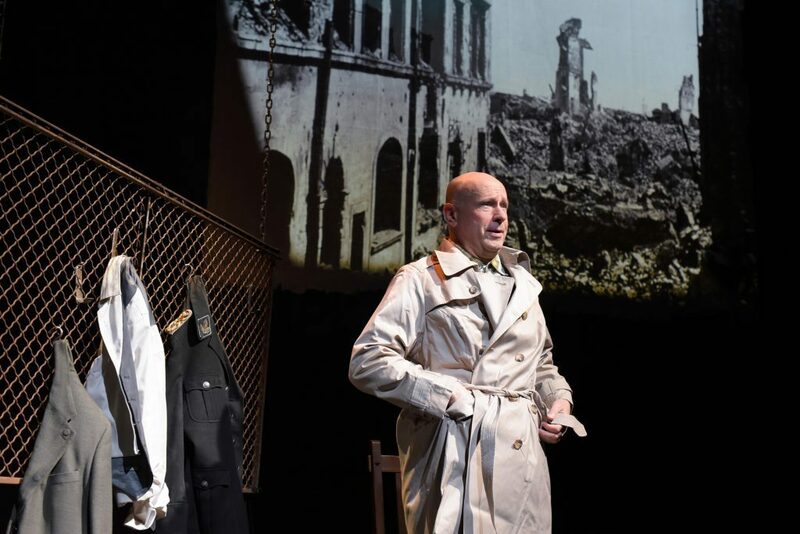 It’s easy to steer clear of plays about a subject matter as somber as the Holocaust. However, “The Obligation” makes it work exactly because of its solemnity, and its bittersweet humor. We tend to avoid the most difficult parts of the past— it’s unpleasant to discuss racism, hate, and genocide. But the alternative is much more unpleasant. The alternative is forgetting and repeating history.